and relied on heavily in the changing world. Out of synch and practically an anachronism. 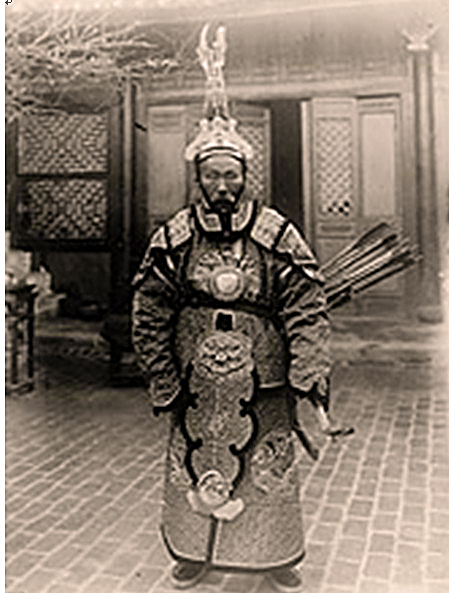 Above: Photo by Auguste Francois, ca 1902, depicting Su Yuanchun 苏元春 (1844-1908 AD) A Qing general in brigandine armor. A tough illiterate Manchu, Su Yuanchun was one of the last great warrior Manchus. He distinguished himself in the field and made it from a simple soldier to a distinguished general in a time when the Qing fought battles against modern firearms with sabers, spears, bows, arrows and matchlock muskets. 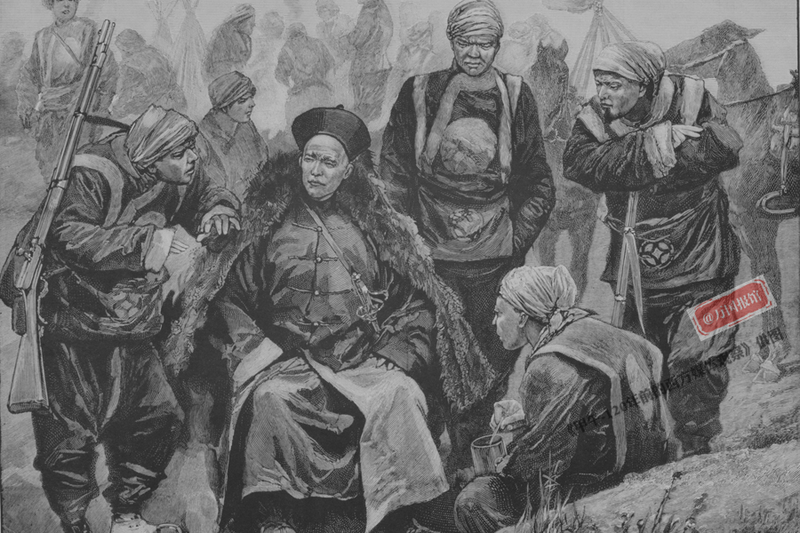 He commanded a force against the French at the battle of Zhennan Pass and won. 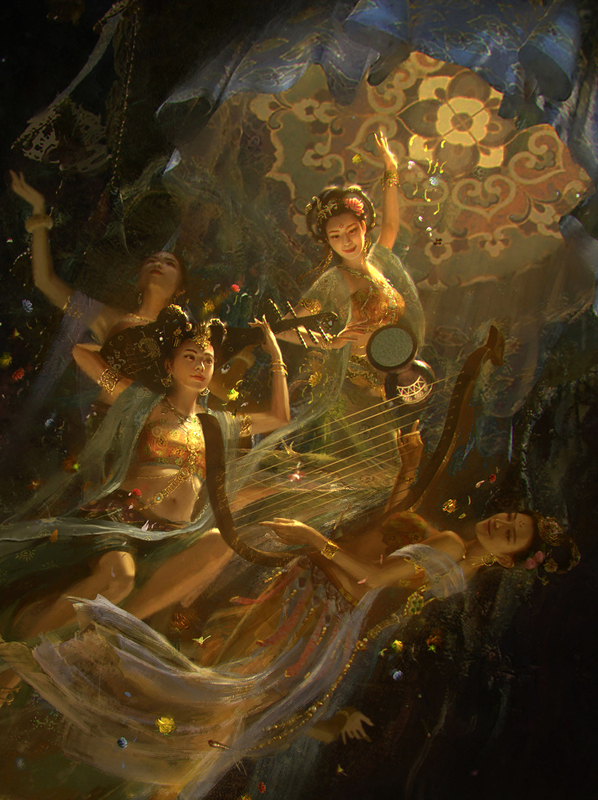 Source- Peter Dekker, Manchu Archery. 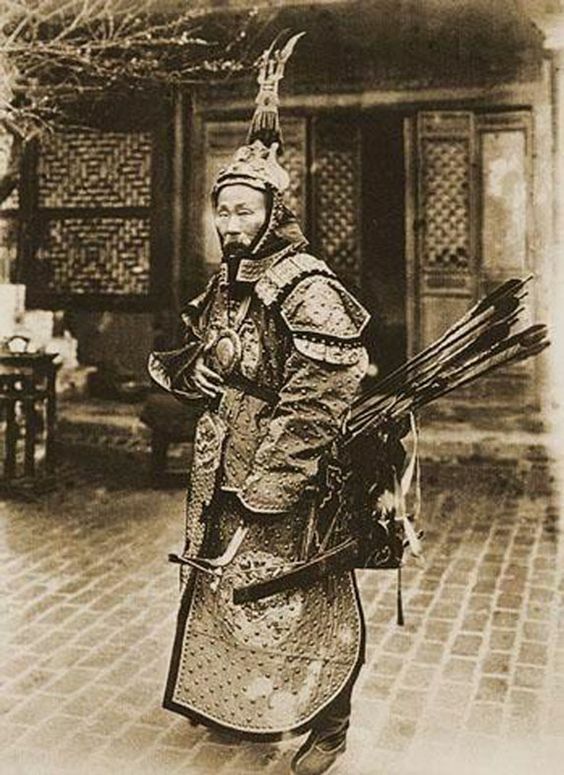 To realize the extent of the enormous "anachronistic" feel of the photo above, Su was dressed in a Manchu brigantine armor and armed with a recurved composite bow almost entirely identical to Nurhaci's Manchu Bannermen who conquered China 230 years before him. In an age where almost everyone around the world had surpassed this level of backwardness. Parade armor for imperial officers, though some still wore it in battle as late as the 1900s. 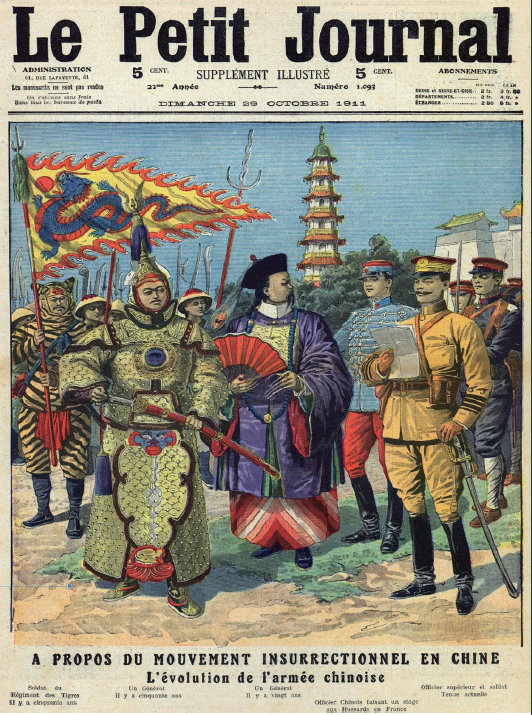 When he fought the French in 1885 (to restore full native rule to Vietnam) in what would be know as the Sino-French War, Meiji Japan had been modernizing with westernized dress code, universities, factories and military for 15 years. 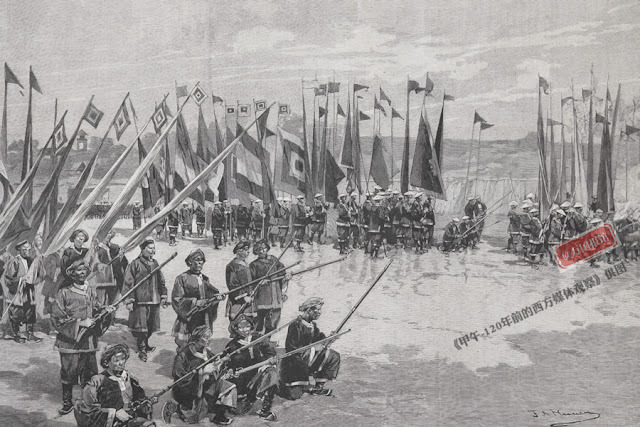 Nepal was developing its native form of Maxim Guns, the Bira Guns, and the Ottoman Empire was trying to field test their own submarines. All the while Su was committed to fight the French with pikemen, saber wielding troops, and 17th century styled matchlock musketeers (in an age of Needle Guns and nearly universally adopted rifles!) To put it in perspective: it was as if Tilly's Tercios went on to challenge Gatling guns and Howitzers. 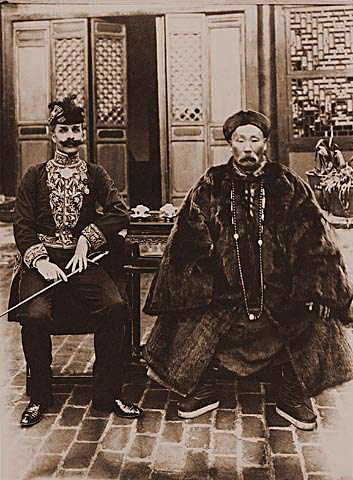 Above: Su and Auguste Francois, 1902, French postcard of Su~ naming him as "General Sou"
in 1894, notice the updated uniforms and modern rifles for the infantry. 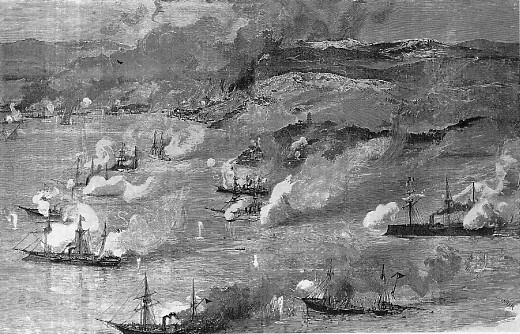 deployment of ironclads and howitzer bombardments. Just keep in mind that by 1885 the French Officer and the war that inspired Tom Cruise's "Last Samurai" had occurred 15 years before Su, remember that allegorical charge of the feudal looking samurai against Gatling guns? That actually charge was 8 years before this. ~ was still 8 years before Su's battle against France. 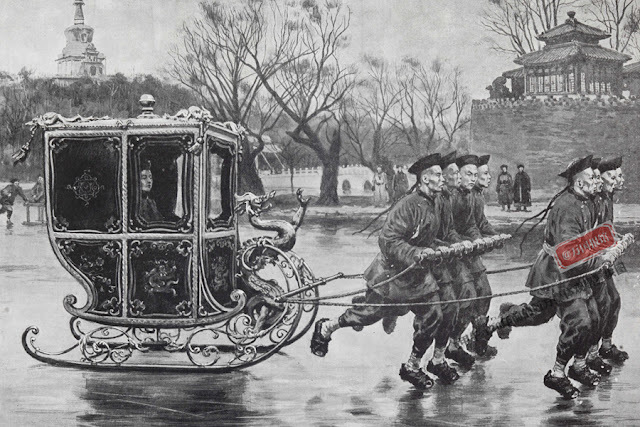 And where as most other Qing officers like Yuan Shikai gained their brass by repressing Han Chinese revolutionaries and through court intrigue by gaining favor with the Dowager Empress, Su Yuanchun, Zuo Zhongtang (General Tso! 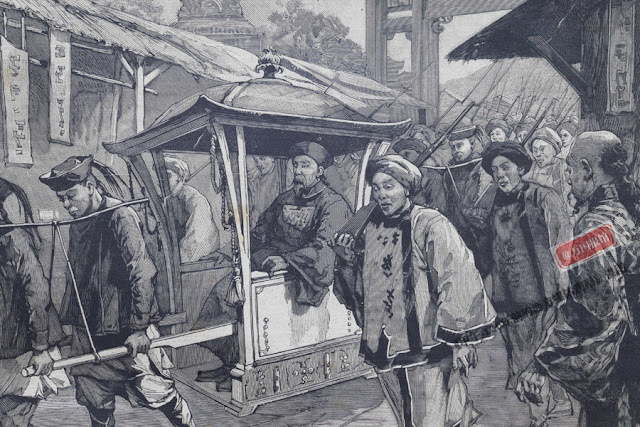 a comrade to Su) and Liu Yongfu were few of the commanders who were able to continuously take on a modernized western state- drilled and equipped with post- Napoleonic and post- Franco Prussian War arms and still contend strategically with decent footings. 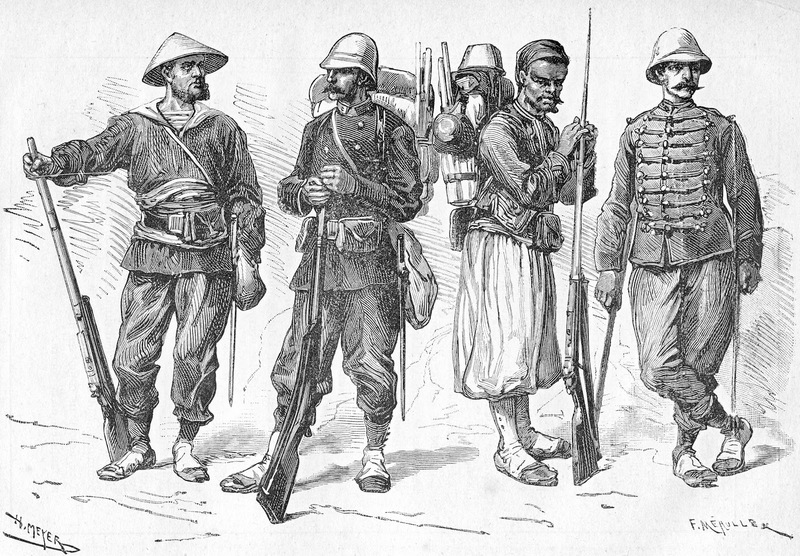 in coolie hat, Marine infantryman, Turco and Marine artilleryman). 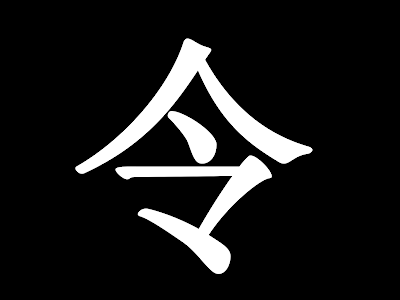 So much so, that in conjuncture with a local Chinese- Vietnamese mercenary army, named the "Black Flag Army" he was able to prevent the hitherto victorious French army from breaching into Chinese mainland exactly at China's boarder and instead push the French into full retreat after the battle of Bang Bo (or Zhennan Pass.) 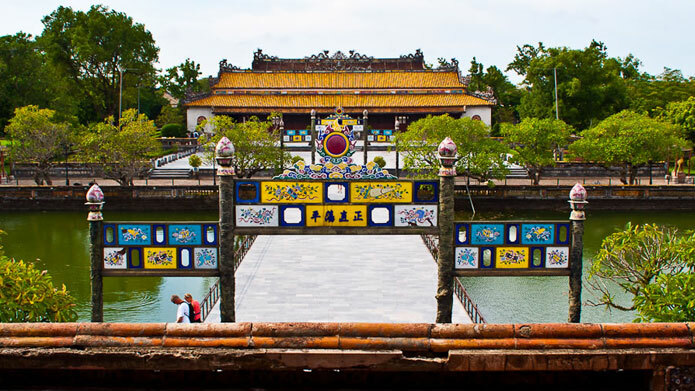 From there, the Qing forces were able to sweep through Northern Vietnam, capturing cities after cities, picking up local supporters and capture the strategic northern city of Lang Són by April 1885. China's forces would by then dominated the battlefield and was poised to pursue the French expedition to the sea. 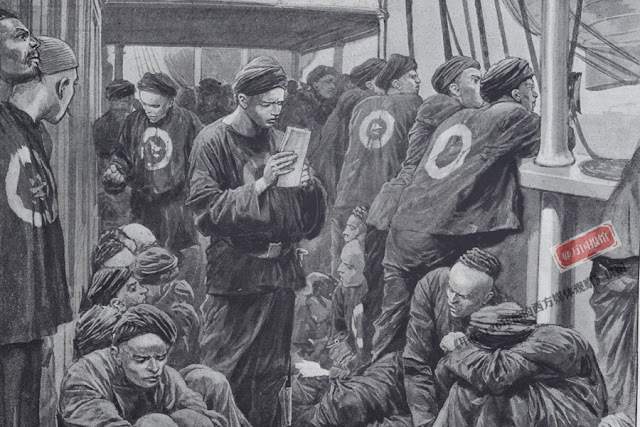 To France~ and Europe, it looked like the French Expedition was a disaster, effectively ending the career of the French prime minister and his party. Like the Vietnam War, the suspicion by the French public and political classes that French troops were being sent to their deaths far from home for little measurable gain, both in France and elsewhere, these setbacks discredited French colonial expansion for nearly a decade. 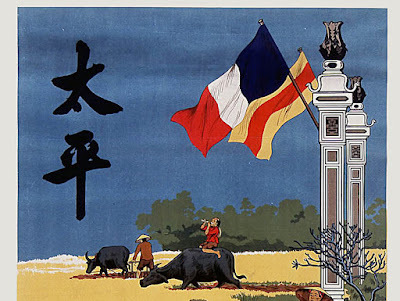 But Su's victories, and by extension- the Qing Army's victories in the field were for naught, for despite their performances which caused near collapse of the French field army, the Qing government relented to the French because of French naval victories and looming threat from Russia and Japan. 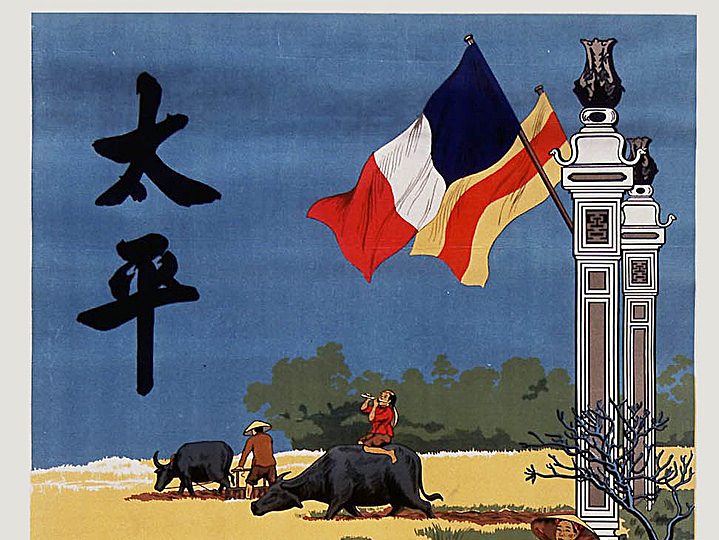 In China, the whole war was described as "not lost, but lost," thus paving the way for a full French takeover in Vietnam, loosing the whole region to become French Indochina. For China and Vietnam it was~ with hindsight, one of the many stepping stones for the death of the old, conservative Confucian ways, and simultaneously one of the many such steps that made them sought for radical ways to reform their society and overthrow the western powers in the region~ just desperate enough for the likes of communism. For men like Su, they would not be associated with saving their nation, or avenging its defeats, nor counted as those who ultimately stymied western encroachment. However he was someone who had made some sudden and unexpected differences in an age when the whole world had long marched past his people and their ways. The man in the picture looks to be in his 60s or 70s. However the general is said to have been born 1844, and the picture taken 1870? That would have made him 26 years old in that picture... which is obviously impossible. Good catch mate, two of the sources I looked up said the photo was from from 1870. 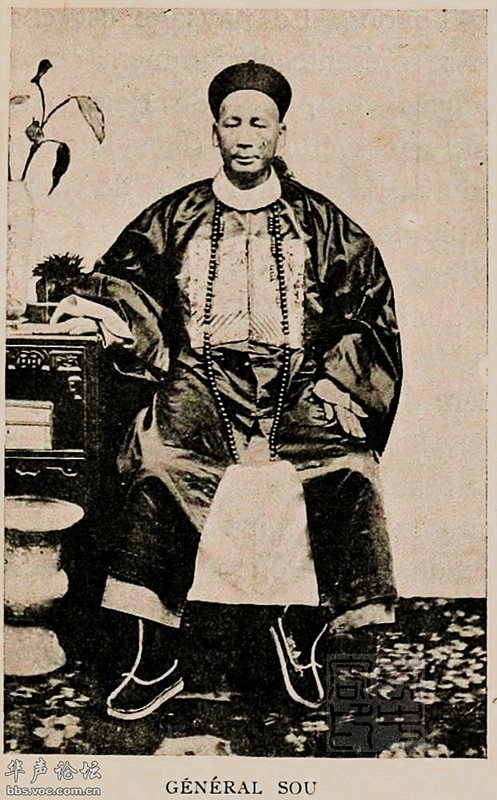 Then I read up on Aguste Francois' biography, and turns out the photos were taken in 1902, one year after the Boxer's Rebellion by the time Su had been promoted to a higher rank. I've hence changed the date of the photos to 1902. 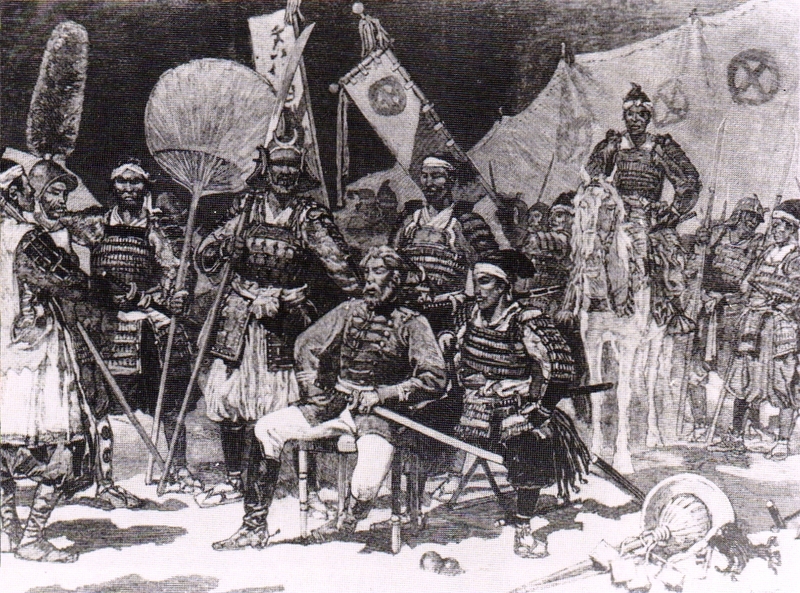 A younger photo of him could be seen in the right of the row where he was referred as "General Sou." 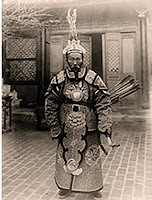 I'm working on a Chinese armour identical to the ones in these photos. Have you any idea on where to look for info on the armours in particular? I am struggling to find good material, though Peter Dekker has been very kind and helpful. I would appreciate any insight! 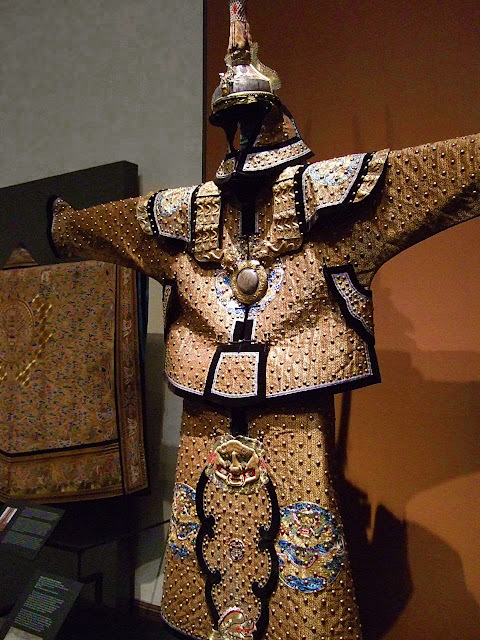 These armor are called Qing Brigandine armors, they are worn mostly by the soldiery of the early Manchu Emperors, from Nurhaci all the way to the QianLong Emperor, and phased out around 1800s, but despite that they are still worn as ceremonial armor by the ranking officers all the way till the collapse of the Qing Dynasty in 1912. They are mostly designed for horsemen and cavalry archers. Relatively light and offers a good protection against indirect spear jabs and bladed attacks- the brigandine offers good flexibility and light weight, effectively they made Manchu archers heavy mobile shooting platforms. That's brilliant, thank you! 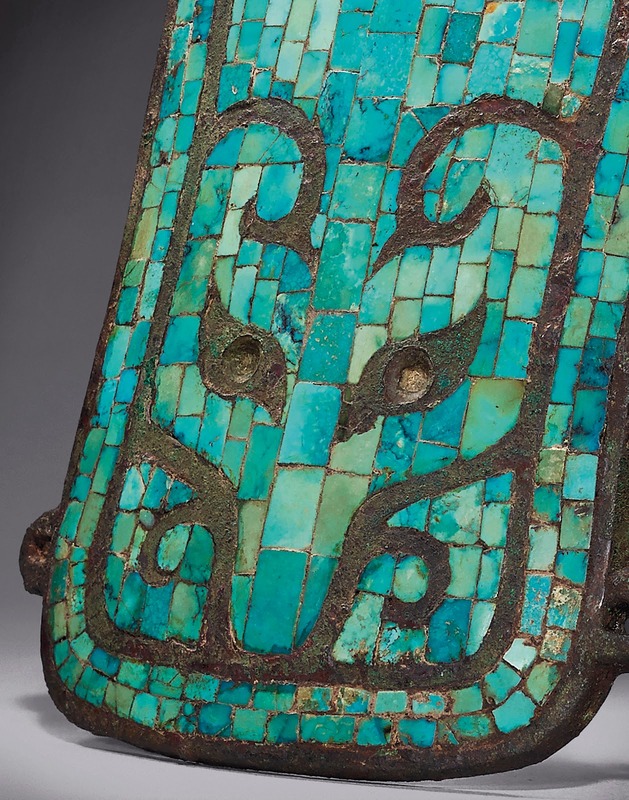 I have heard these referred to as 'Ting Kia' or 'coat of nails' (similarly studded brigandine armour is also found in India) however, this one has no brigandine plates inside and little to no padding so I assume it must be purely ceremonial. Do you have any suggestions as to books I might be able to use as sources? I believe the Asians generally refer to these as coat of nails, as~ Brigandine is a western word transposed over these armors. 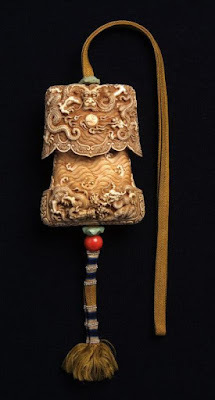 They are generally relatively light~ when compared to Ottoman or Western armors. As for images~ I have a very detailed, high definition piece from the QiangLong Emperor's Armory priced at half a million~ but the link is in Chinese. For a 300 year old armor its quite exquisite.